A very special BFR signature instrument. 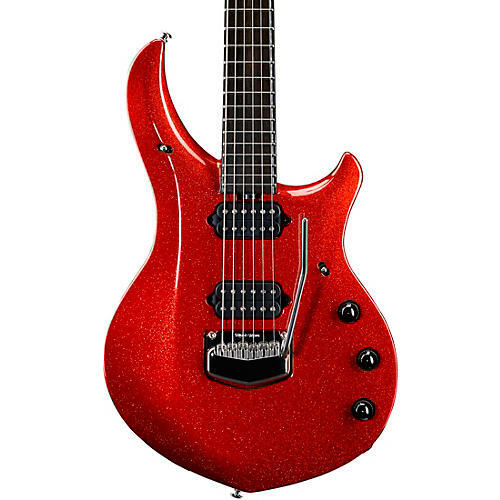 Limited to just 105 pieces worldwide, this BFR Majesty features a striking Cinnabar Red Sparkle finish covering the entire body, headstock, and back of the neck. Unique to this model is a "Runway" ebony fretboard, outlined with two strips of white pearl, inlaid across the entire length of the fretboard; one on each side. The omission of the first position Majesty inlay and position fret markers gives this guitar a very streamlined aesthetic. Each instrument is autographed by John Petrucci, includes a numbered certificate of authenticity and hardshell case. Click or call to order this very-limited-run Majesty before they're gone.